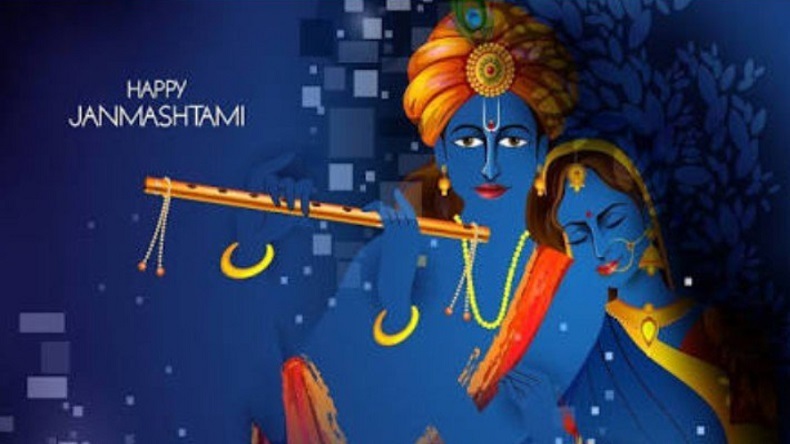 Happy Janmashtami 2018 wishes and messages in Gujarati, Whatsapp status, gif images, krishna wallpapers, quotes, greetings, SMS and Facebook posts to wish Happy Krishna Janmashtami 2018: One of the most auspicious day for Gujarati, Krishna Janmashtami is thoroughly celebrated in the city of Dwarka. According to Hindu manuscripts, Lord Krishna built his grand kingdom in Dwarka. From Dahi Handi to folk dances, singing bhajans and keeping fast, the auspicious day of love and care is all about praising the eighth incarnation of Lord Vishnu. Send the best Janmashtami wishes and messages in Gujarati, Whatsapp status, gif images, Krishna wallpapers, quotes, greetings, SMS to wish Krishna Janmashtami 2018 to your friends and family and wish them Happy Janmashtami 2018. Happy Janmashtami 2018 wishes and messages in Gujarati: One of the most auspicious day for Gujarati, Krishna Janmashtami is thoroughly celebrated in the city of Dwarka. According to Hindu manuscripts, Lord Krishna built his grand kingdom in Dwarka. From Dahi Handi to folk dances, singing bhajans and keeping fast, the auspicious day of love and care is all about praising the eighth incarnation of Lord Vishnu. Gokulashtami, this year is lauded on September 2 and September 3. Take a look at our special collection of Happy Janmashtami wishes and messages in Gujarati.